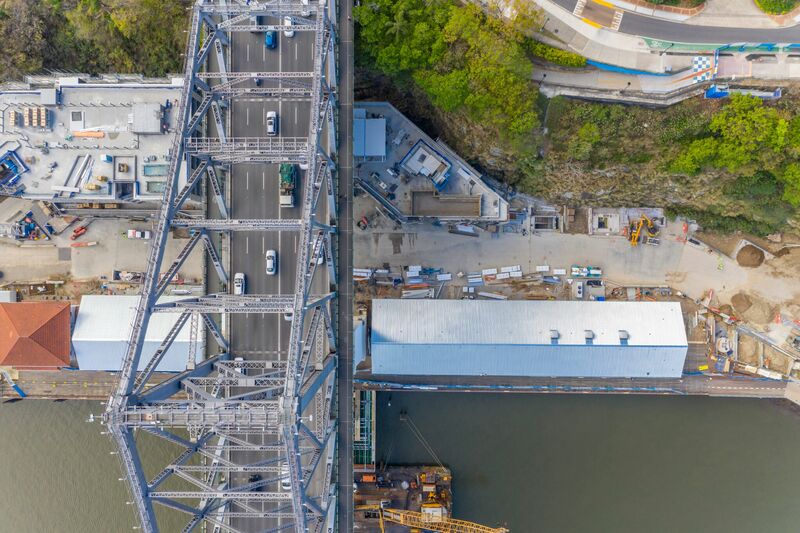 The Howard Smith Wharves (HSW) is an iconic development for Brisbane which is bringing a new lease of life to the previously unused site. Locals and agents are excited about the development, with Scott Hutchinson of Hutchinson Builders predicting HSW "will change things", and Ray White New Farm's Matt Lancashire labelling it "game changing for Brisbane". WILLIAMS MEDIA had a peek behind the barriers with Scott Hutchinson, chairman of Hutchinson Builders and Andy Morgan, site foreman. Hutchinson Builders is the company constructing the HSW, and chairman Scott Hutchinson told WILLIAMS MEDIA he has staff working on the project who have been with the company for 30 years, and are very careful about everything they do. “Working on a heritage listed site you need to have very responsible, caring, people who understand what a heritage architect wants to preserve,” said Mr Hutchinson. “It is wonderful working on this project not only because of the high profile, but it’s something we are really proud of. Mr Hutchinson said he is especially passionate about projects that affect Brisbane. “Brisbane is my real interest. Things that are great for Brisbane are what I get real joy out of building. The HSW will create a link between the city and the Fortitude Valley. “It's really important because people in the city after work want to head towards the valley, and it is a much nicer way of getting there than the existing ways that are very traffic heavy. While WILLIAMS MEDIA was on site at the HSW, Hutchinson Builders site foreman Andy Morgan, said the WWII bunkers are being cleaned up and will be accessible to the public via new paths being built. Mr Morgan said one of the challenges around construction has been working on the river. “We have to make sure we aren’t polluting into the river with saw dust and paint," Mr Morgan told WILLIAMS MEDIA. “For example all the painting must be done on the ground, not over the river." Mr Morgan said Hutchinson Builders is given a report which outlines the specifics of what can and can’t be done on the heritage site. “The guidelines we have to follow are quite stringent, we are told what we can and can't do and what we can’t move." Much of the existing materials had to be removed and are being recycled and reused in the construction of the buildings. “The brewery and restaurants had all original timber flooring boards which we had to pull out as they were rotten underneath. “We sent them away and are reusing them on the decking in the over water bar area. 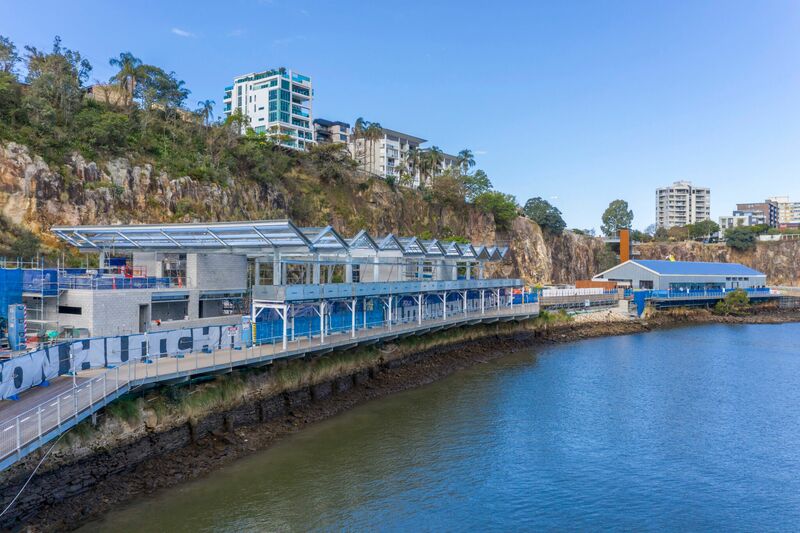 The brewery, Felons Brewing Co, with an expected opening in early November, is the first stage of The Howard Smith Wharves which will be open to the public, followed in late November by the overwater champagne bar. Adam Flaskas, director of the HSW said the champagne bar will be a HSW owned and operated venue. "It will be an iconic venue for the whole precinct, and we are really looking forward to creating something special for Brisbane," said Mr Flaskas. "It will be the bar to go and have a drink." 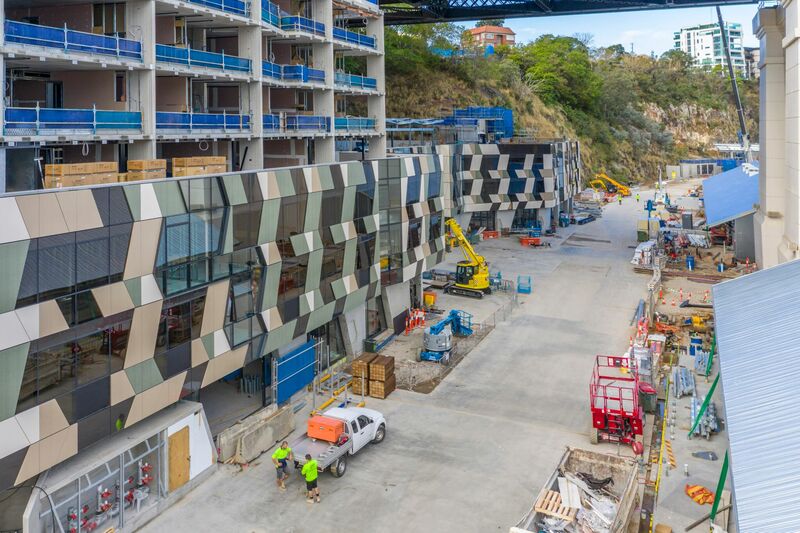 The luxury boutique art series hotel, designed by SJB Architects is expected to open mid March, with the precinct itself due to open on December 21, according to Hutchinson Builders. The hotel facade will blend into the cliffs, with its earthy tones which was integral to the design, according to SJB Architects. The company said this approach encouraged a design that allowed the heritage buildings along the water­front to be uncompromised, and clearly distinguishable. The five star hotel will have 164 rooms and suites, and will also feature a garden oasis, pool terrace, and bar, as well as retail and a restaurant on the lower level. All the buildings in the HSW will be on or above the F100 flood line. 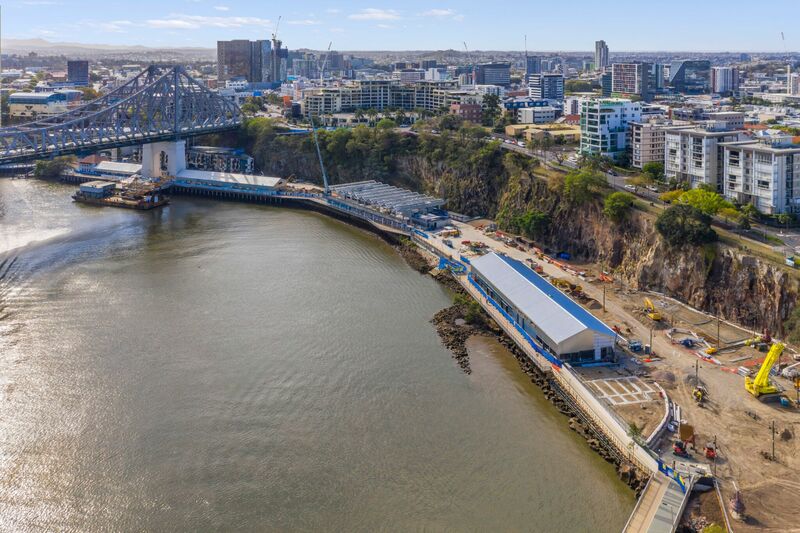 Lord Mayor Graham Quirk said “Over the past year, the two wharf buildings have been carefully raised above flood level, structurally reinforced and repaired, with new flooring, glazing and roofing, in keeping with the original tin and timber style of the buildings”. The wharves will also be able to host many events including corporate meetings, conferences, gala dinners, exhibitions, markets, festivals and weddings. The precinct will have a team of wedding planners and award-winning chefs, and function spaces will be able to accommodate up to 1,000 guests. There is already a long list of people who want to enjoy the facilities, with the booking schedule filling fast. Mr Flaskas said "We are taking bookings for events from mid November onwards". "We have had an overwhelming response from corporates and weddings. There are multiple different venues to hold different events such as conventions, conferences, corporate parties and weddings." Mr Flaskas has lived and worked in the area for the last 20 years and saw potential in the beautiful heritage listed wharf buildings. 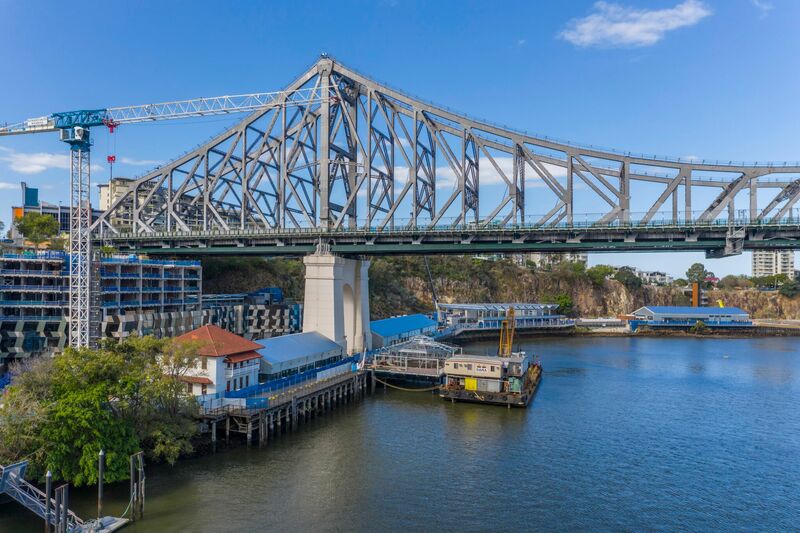 “They have an amazing character, with the iconic Story Bridge above,” Mr Flaskas told WILLIAMS MEDIA. “The site has an incredible aura and the location is great, on the river with city views. “I see it as a once in a lifetime opportunity of being part of creating what will be an internationally recognised entertainment precinct, in the heart of Brisbane. Mr Flaskas said the most unique part of the experience has been working with the natural elements and materials that the site already has. “It’s such an organic natural canvas. It really suits having hospitality businesses and parklands, and outdoor space where less is more. “The less we do to the site in terms of keeping the natural aura is what will make it totally unique. Mr Flaskas said 80 per cent of the site will be kept as public, open space for people to enjoy. He said the HSW is all about people who are passionate about their craft, collaborating and working together. “From people brewing handcrafted beer, to a fresh cider, to roasting coffee, to people who love food and drink and markets, festivals. Mr Flaskas said it would be great for the opportunity of a CityCat stop in front of the wharves to arise in the future. 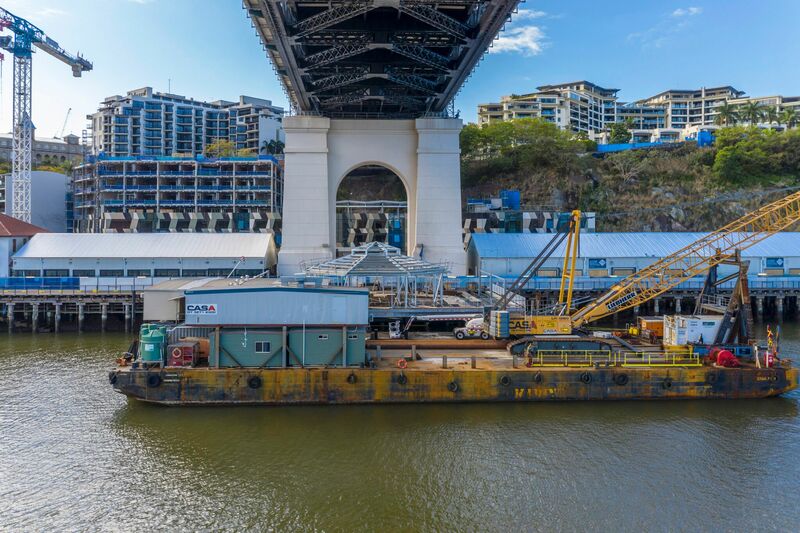 Howard Smith Wharves will be a ‘mixed use’ precinct with river frontage, pedestrian and bicycle paths, conference facilities, restaurants, and bars. “Once complete, HSW will provide a world-class destination with public parkland, riverside dining, and a mix of exciting entertainment and cultural experiences, further enhancing Brisbane’s status as a New World City,” Cr Quirk said. In addition to the restaurants, bars and hotel, there is a $17 million landscaping budget set aside for grassed play areas, gardens, walking track and a bicycle path. Damian Hackett, CEO of Place Estate Agents said anything that brings this amount of amenities is positive for the surrounding suburbs. “Particularly with connectivity up to Bowen Terrace. All those residents will have the ability to walk to a very high end precinct," Mr Hackett told WILLIAMS MEDIA. Mr Hackett said the lift will also be beneficial for everyone. He said it's difficult to determine independently whether house prices will go up because of one piece of infrastructure, but it definitely adds to the mix. “It’s no doubt a big plus. When people are selling properties there they will refer to the fact that the home is walking distance to the HSW. Matt Lancashire, principal of Ray White New Farm told WILLIAMS MEDIA the development will be great for New Farm. “The suburb is becoming like Sydney, where people want to be in locations they don't need to use a car for entertaining," said Mr Lancashire. HSW will be easily accessible by walking and cycling, and will have many entry points. Mr Lancashire said the wharves will offer million dollar views everyone can enjoy. “The operators are pretty good at what they do. It's not their first attempt at trying to create a lifestyle precinct." “The quality of restaurants will also bring so many people to the area which is fabulous." There restuarants will reportedly include Japanese Toko Brisbane, Chinese Stanley and Greek Greca, in addition to the brewery and champagne bar. Mr Lancashire said all the feedback he has had from local residents has been positive. “People want to be close and have the ability to walk down to the precinct. Mr Lancashire said all developments like the HSW help with property prices. “Anything that has to do with urban renewal will always improve the value of the area."